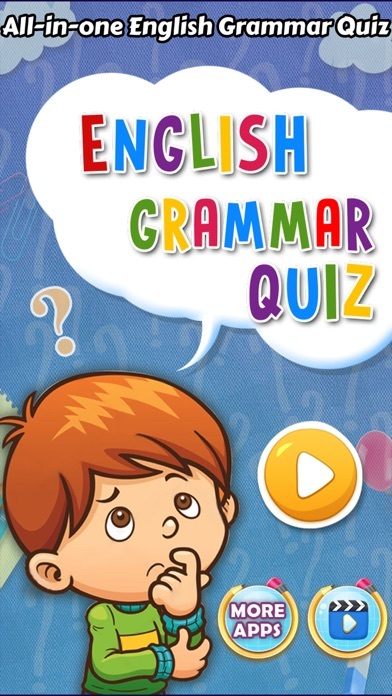 Get the Ultimate English Grammar Quiz App and learn English Grammar and Vocabulary. 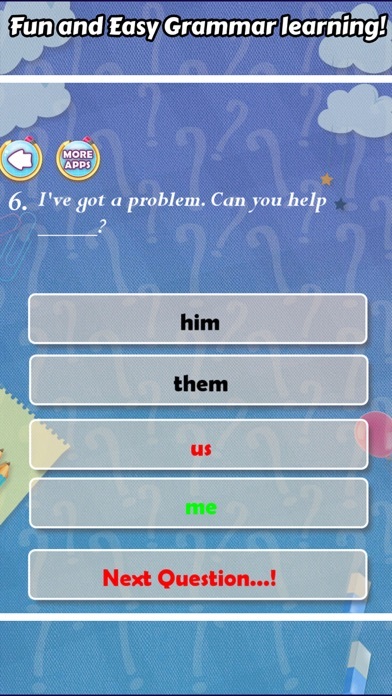 Grammar practice app that will help you to excel English grammar accuracy. 1000s of questions to help practice and improve your English grammar skills. Features : - Endless multiple choice questions! 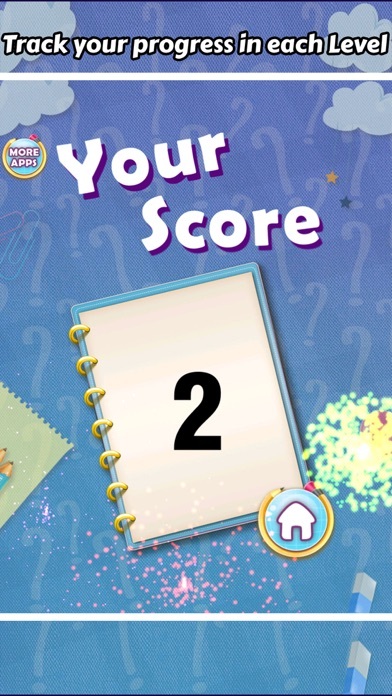 - Give the answer quickly, use helps, win extra points for being fast; - Easy and Quick-to-play! - Fun and easy English learning! - Learn English Vocabulary by answering easy and hard questions Learn Grammar Topics Like - - Verb tenses (Present Simple Tense, Future Simple, Past Continuous Tense, Past Perfect Tense, Present Perfect Continuous etc.) - Active & Passive - Comparison of adjectives (comparative, superlative) - Regular & irregular plural nouns, Countable and uncountable nouns - Prepositions (in, at, for, with, on, into, after) - Articles - Possessive and personal pronouns - Reported Speech - Phrasal Verbs & Gerunds - Word order - Use of Much and Many, Some, Any, Little, Few, a Few, a Little and many others - Question words (Who, How much, How Many, Where, What, When), All-in-one English Grammar Quiz with elementary, intermediate and advanced English grammar learning questions. 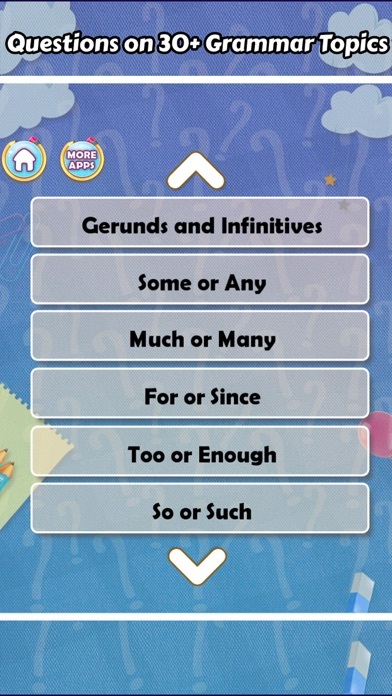 Go through practice questions at your own pace in the app and see how well you know the grammar topics. 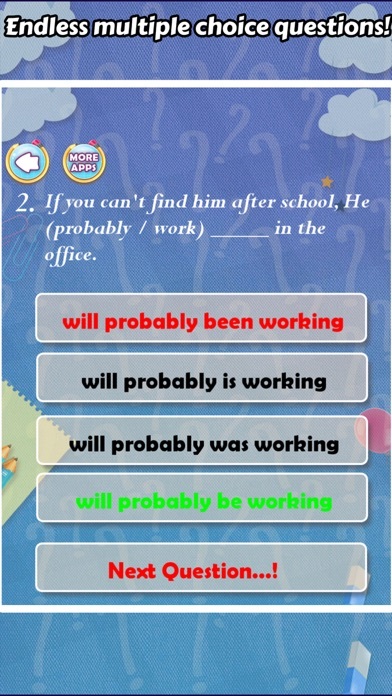 This is one of the best and most useful English learning games that will help you practice English grammar and improve your general knowledge of English language and vocabulary!